Oil on canvas, 252 x 305 cm. 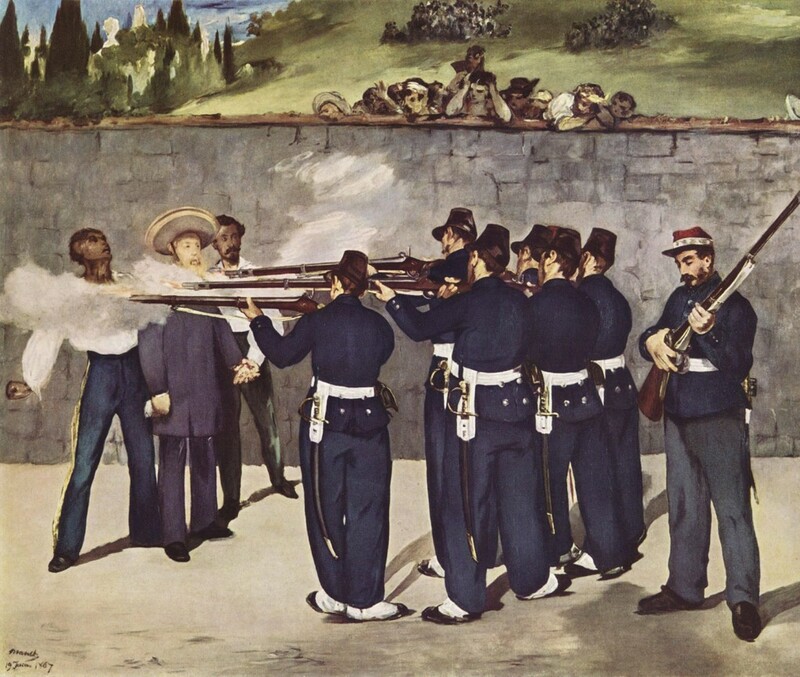 The Execution of Emperor Maximilian is series of paintings by Édouard Manet from 1867 to 1869, depicting the execution by firing squad of Emperor Maximilian I of the short-lived Second Mexican Empire. Manet produced three large oil paintings, a smaller oil sketch and a lithograph of the same subject. All five works were brought together for an exhibition in London and Mannheim in 1992-3, and at the Museum of Modern Art in New York in 2006. 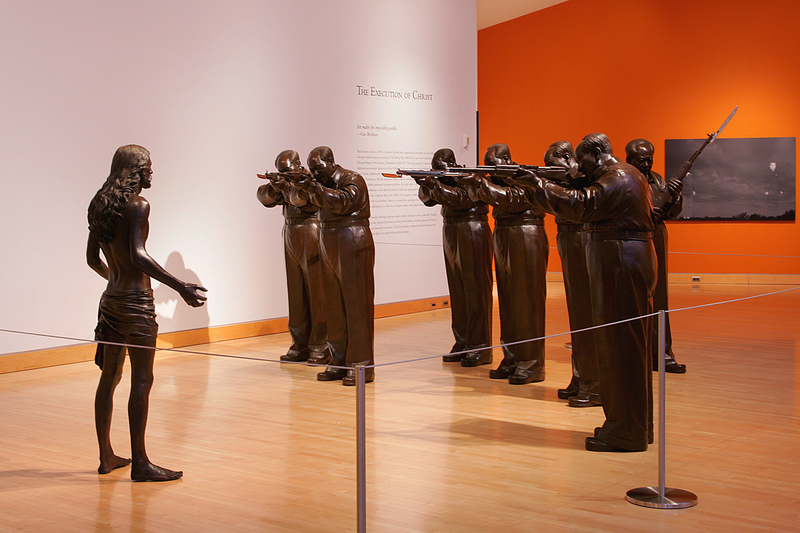 In 2009, the Gao Brothers abandoned the modernity of resin, turning towards the austerity of bronze. 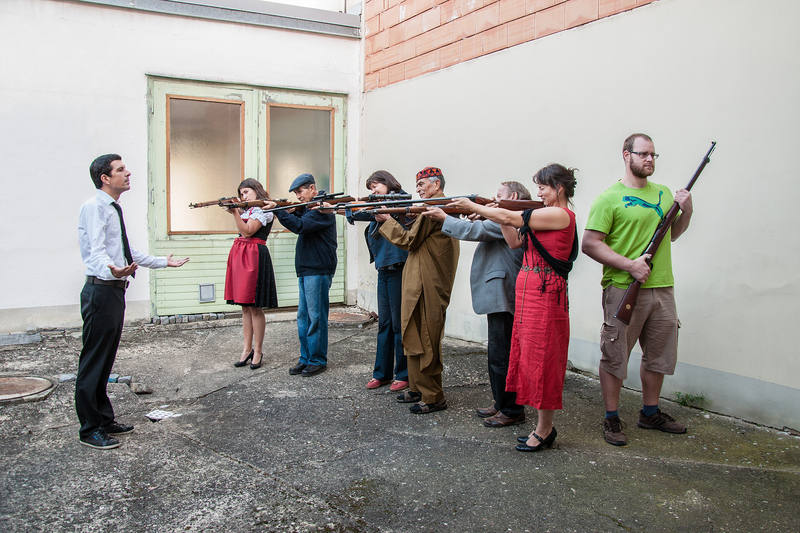 The execution of Christ represents a Mao-firing squad aim their weapons at Christ, the pose mimicking Edouard Manet’s – The Execution of the Emperor Maximilian of Mexico, 1867. This parable refers to the concept developed by Nicolas Bourriaud known as “altermodernity” Bourriaud, which begins with the idea that today’s artists live in a globalized culture which should be used not to deny their individuality but to create a new modernity, one made of openness and intercultural exchange.